Don’t loiter outside the rear entrance to Ponton House – there is a large piece of metal hanging by a wire four storeys up above the entrance. This was reported to Lambeth Housing on 6 March and again on 10 March. No timescale has been given for its removal. 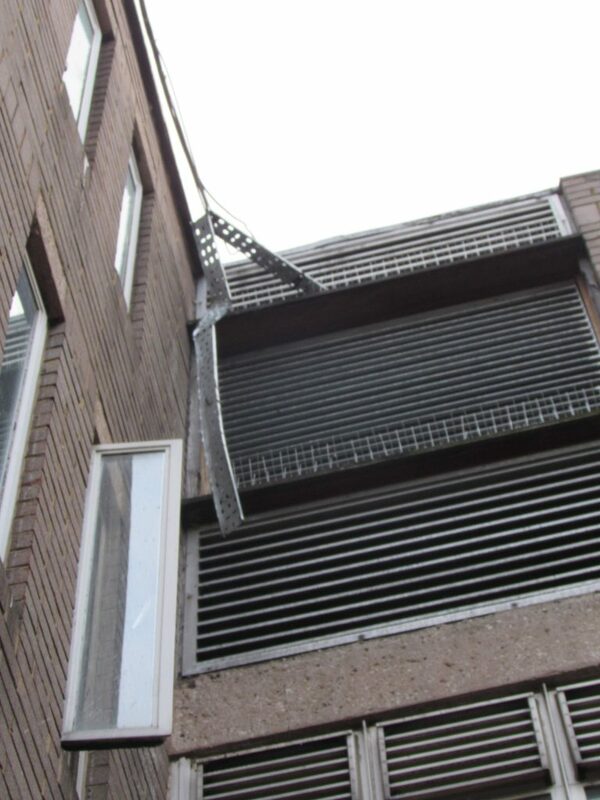 The metal, which appears to be a cable rack, hanging at fourth storey level. Do you know of any redundant or faded signs that are cluttering up the estate? Rob has removed a few – see photo – but there may be others. Let us know. 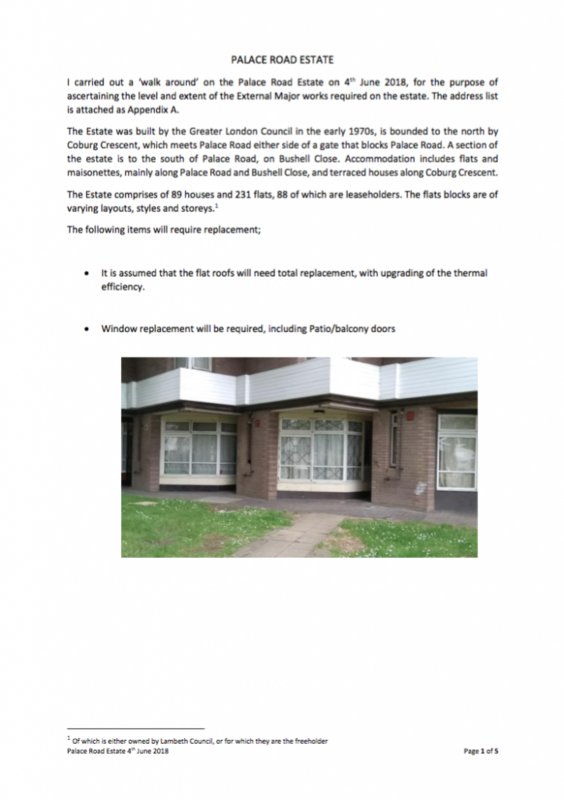 We have received a draft report on progress with the Lambeth Housing Standard works. We are posting the report here for your information. We have received an ‘indicative capital programme‘ for the 2019-2020 accounting year. This shows that the planned works for Palace Road Estate are in four categories: (i) externals, (ii) water tanks and boosters, (iii) communal heating / distribution / control and (iv) electrics. No other Lambeth estate has work planned in as many as four categories. 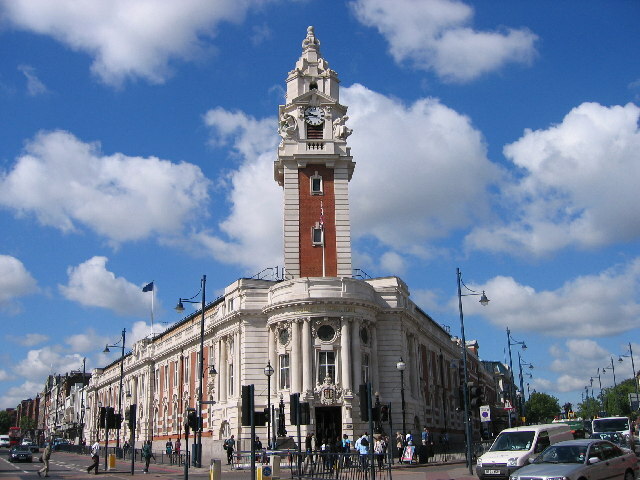 The draft programme will go to the council’s overview and scrutiny committee for their approval. Perhaps as a result of our request during the visit of Chuka Umunna MP to the estate, the council has carried out an inspection to see what work is required to renovate the external elements of the buildings. The report can be downloaded here. Total replacement of the roofs. Replacement of windows, including patio/balcony doors. Upgrading of doors to flats to meet fire safety standards. Repairs to balconies, “including timber replacement and replacement or alternative glazing”. This work, together with the necessary structural repairs, is estimated to cost in the region of £10.5 million. 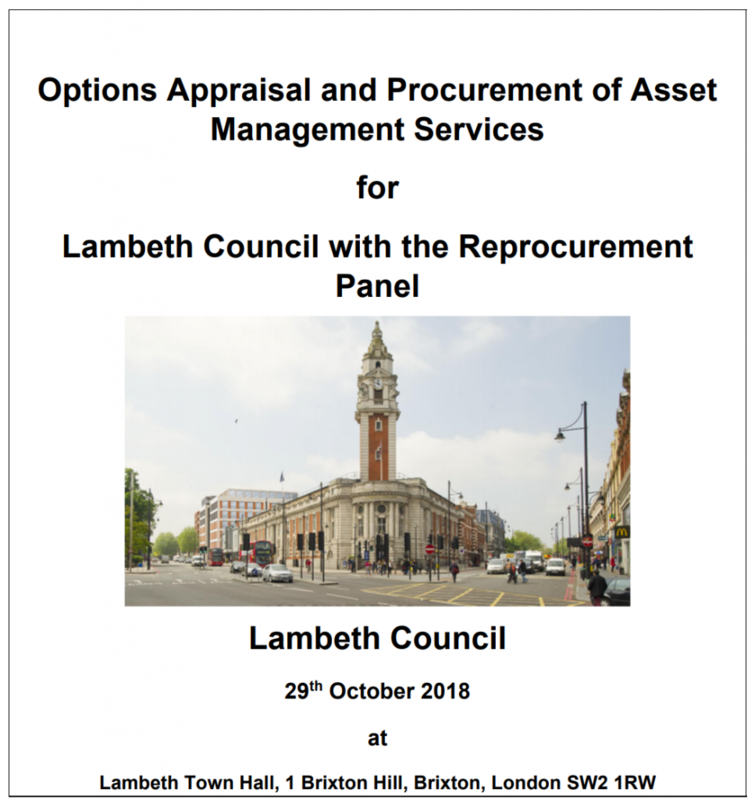 We have been told that this work will form part of Lambeth’s capital works programme over several years, starting in the 2019-2020 budgetary year. Lack of routine maintenance, including painting timber cladding, repairing minor cracks in masonry and replacing damaged windows and glass panels on the balconies. “A system of tree management should be set up and put in place to manage the trees in the estate in consultation with Lambeth’s Trees Section.” This comment will come as a surprise to service charge payers who are regularly charged significant sums for tree maintenance. Despite the reported immediate risks from falling pieces of concrete, the council chose not to inform residents until their letter about initial works to make the concrete safe in mid-July. 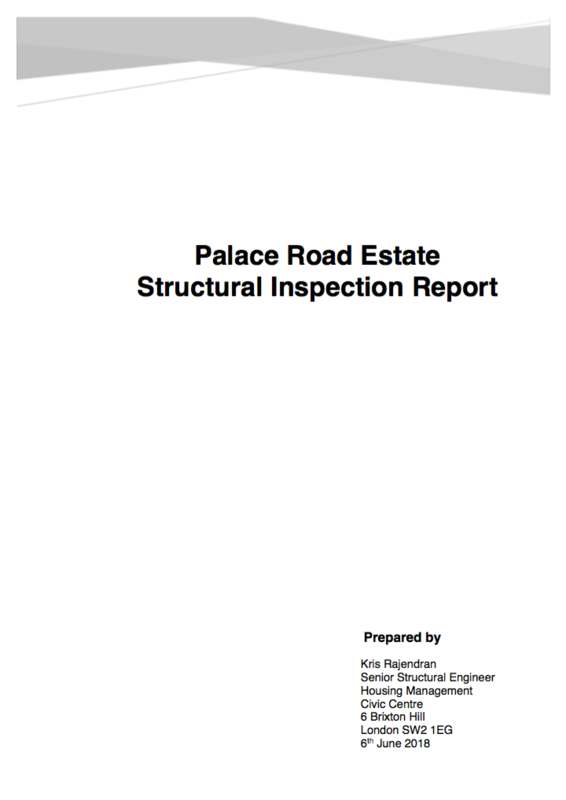 The report asserts that “None of the defects mentioned above is considered as impairing the structural stability and integrity of the buildings at present.” However, since the inspection excluded the garages, above which many of the flats are built, PRERA has requested that the garages are also inspected. As we have recently heard, there is a problem with some of the concrete that is present in the flats. Corrosion of the steel inside has caused flakes of concrete to fall from the surface of the concrete. This is an obvious safety hazard and we are glad to hear that the council is now going to carry out works to make the concrete safe. 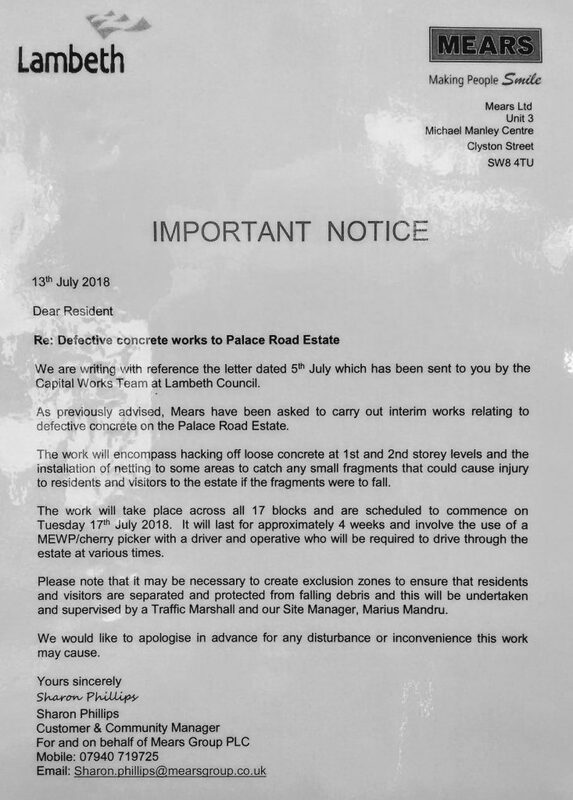 Notices about the works have just appeared around the estate – see below. PRERA will continue to press the council for details of plans to carry out repairs to the surface of the concrete and to carry out preventative maintenance that will reduce the penetration of water into the concrete. An acknowledgement from the council that Palace Road Estate has not been receiving the service it should from housing management. A restructuring of the housing management service next month, with reallocation of housing officers to estates. A written description of the service that we should expect from estate housing officers. 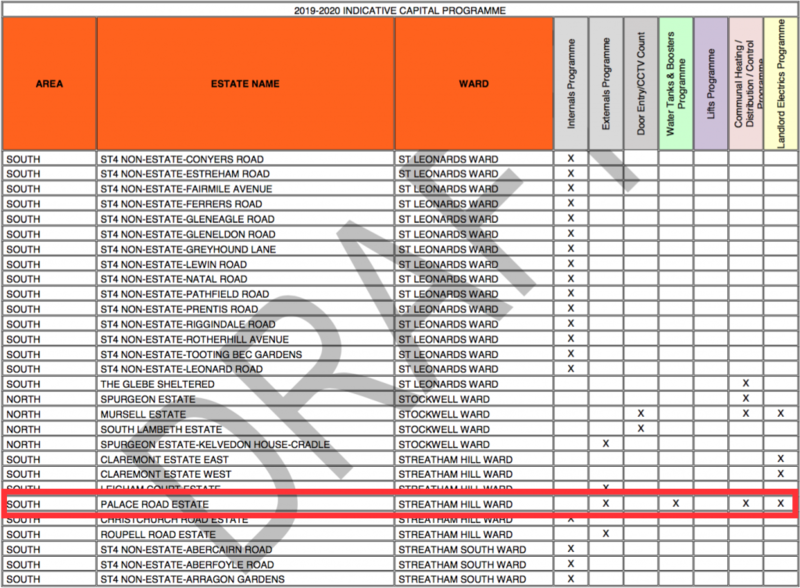 Recent surveys of the structural condition of the blocks of flats. This will inform future prioritisation of works across Lambeth. 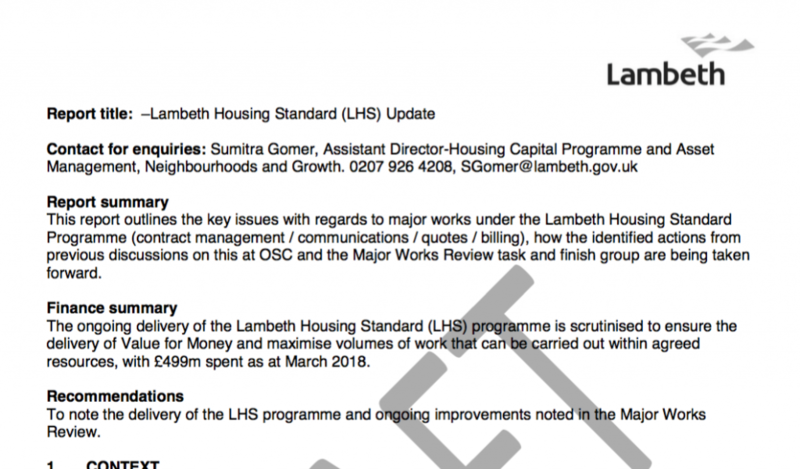 The scheduling of an inspection of the estate by the incoming manager responsible for housing across the whole of Lambeth [carried out on 22 June]. A commitment that leaseholders would not be charged [directly] for work to rectify problems with the poorly constructed cladding for the water pipes that were installed in 2013. An acknowledgment that water distribution around the site is failing and needs replacement. This was proposed to be included in the 2019/20 capital works programme. A commitment to develop a policy for bulky waste disposal on council estates. 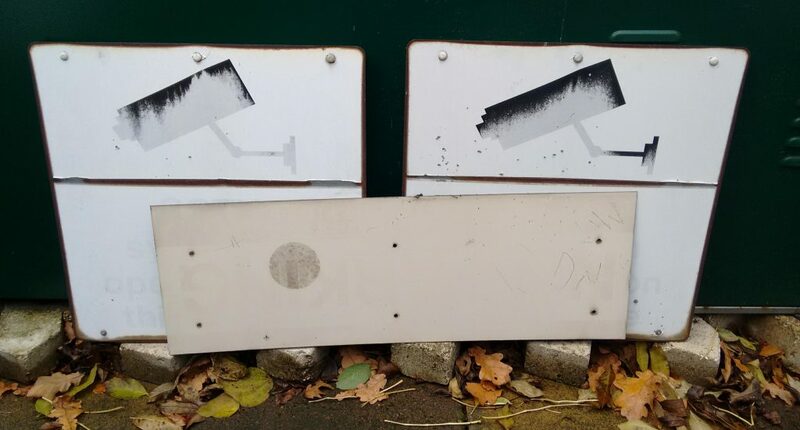 Prioritisation of Palace Road Estate in the placement of the council’s stock of mobile CCTV cameras (after Tulse Hill Estate), to deter fly-tipping. Support from Cllr Gadsby for residents to have access to the community space within the new resource centre on Coburg Crescent. An acknowledgement that the council needs to better engage with PRERA in future. 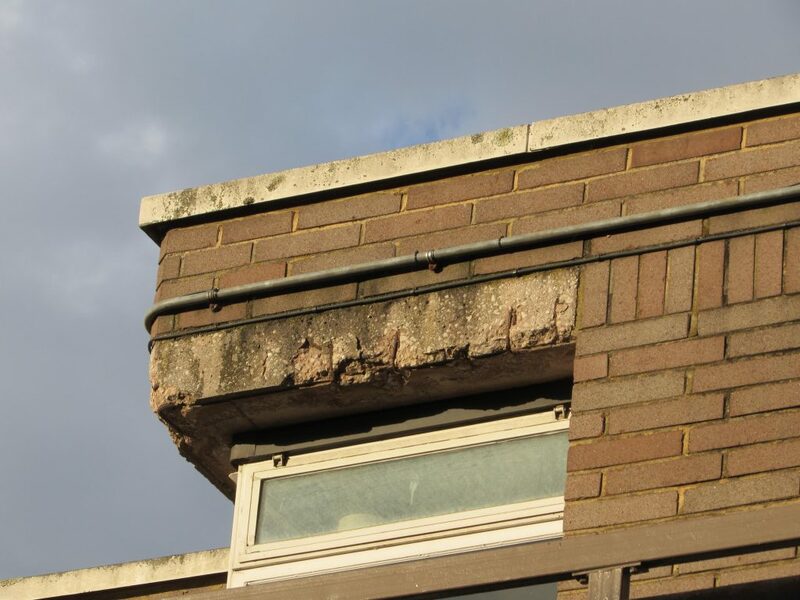 The committee has been informed of a hazard on the estate that we weren’t previously aware of – falling concrete. This can be added to the list of hazards that includes sheets of glass falling from the balconies, holes in the ground and disintegrating wooden and PVC boxing. Apparently, the reinforcing rods within the concrete slabs in the blocks of flats are corroding, causing flakes of concrete to fall down. Please be aware of this hazard and do not spend time standing under such concrete lintels and balconies. PRERA has asked the council when repair work will be carried out to this and other long-standing maintenance issues. We also asked how and when residents would be informed of health and safety hazards that had been identified by the council. An example of decaying concrete near the roof-line, four storeys above ground level.